Shiseido Benefiance Full Correction Lip Treatment is a a multi-function treatment for mature lips, this plumps, retextures and minimises fine lines, keeping lip contours in shape. Use Shiseido Benefiance Full Correction Lip Treatment alone or under lipstick to keep lips moist all day, with lustre and fullness. Shiseido Benefiance Full Correction Lip Treatment 15ml / 0.5 oz. SHISEIDO Benefiance Full Correction Lip Treatment 15ml was found on 4 websites and was price compared using EAN: 0730852191082. 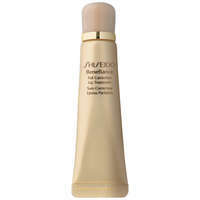 The cheapest SHISEIDO Benefiance Full Correction Lip Treatment 15ml is shown as the main item, prices range from £25.95 to £38.00, excluding delivery. Price comparison based on price and delivery charges, with any valid discount codes being applied, is shown in the table above. Prices and information correct at the time of publication.